Elizabeth Allingham is a member of the Family and Civil Team. 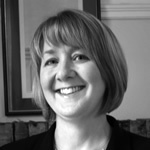 Elizabeth has a general common law practice and specialises in the following areas of law: ancillary relief, injunctions, cohabitee property disputes (TOLATA claims), inheritance (claims under the Inheritance (Provision for Family and Dependants) Act 1975), probate, and disputes concerning children (private and public law). Elizabeth also handles other civil claims relating to contract disputes, personal injury claims, professional negligence, boundary disputes, property and trusts. Elizabeth is a member of the Family Law Bar Association.